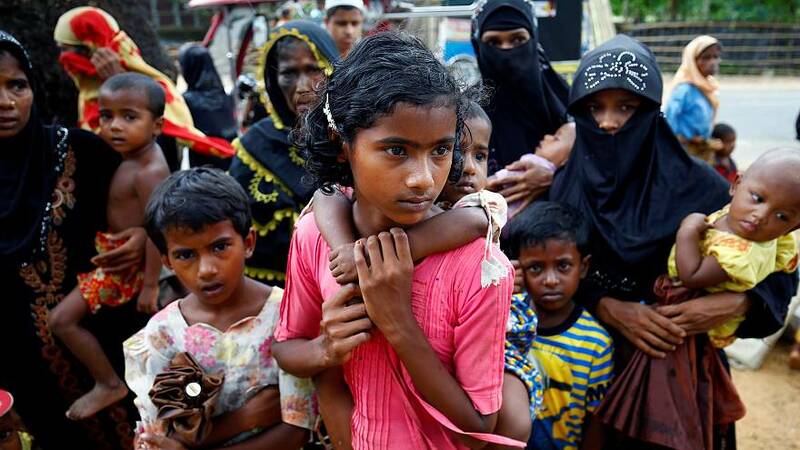 The conflict between Myanmar (also known as Burma) authorities and the Rohingya community has caused approximately 18 500 refugees to flee to neighbouring Bangladesh in less than a week, according to the International Organization for Migration. The majority of these refugees are women and children. Historians dispute their origins and how they came to live in this region. Some say that they came from neighbouring Bangladesh, at the end of the 19th century, during British colonization. Others argue that Rohingya origin can be traced back to early Muslim settlements in the region during the Middle Ages. Today, the Rohingya ethnic-minority represent between 800,000 and 1.3 million Muslims and live mainly in Myanmar’s Rakhine state. They are not officially recognised by Myanmar, which is 80-90 percent Buddhist, despite having lived in the area for generations. This means Rohingya are denied access to sanitation, health services, education, and other basic rights such as moving freely across the country. For decades, violent outbursts have broken out between the Rohingya and Myanmar authorities. Notably, in October 2016, Rohingya were accused of assassinating nine Myanmar policemen. This has led to major clashes, forcing 87,000 people to flee to Bangladesh. Since then, Myanmar military authorities have increased their presence in Rohingya territory and violence has escalated. According to the Human Rights Watch, government forces are responsible for abuses against Rohingya which include killings, torture, sexual violence, and destruction of property. These have worsened over the past year. United Nations representatives have accused the government of ethnic-cleansing the Muslim minority. This has been denied by Myanmar leader Aung San Suu Kyi. A group of Muslim militants has attacked government authorities on August 25 in the state of Rakhine. Myanma forces and Buddhist militia responded with violent raids and persecutions. Recent satellite images show many Rohingya villages have been burned down in Rhakine, increasing the number of people fleeing the region. What are the conditions like in Bangladesh? Once they get to Bangladesh, most displaced Rohingya live in illegal camps in Cox Bazar’s district, near the Myanmar border. UN aid workers operating in the area told Reuters that camps are overcrowded and lacking basic resources such as food, water and shelter. The United Nations has officially requested Bangladesh to take in those seeking refuge from the attacks in Myanmar. However, due to the increase on the number of Rohingya refugees in Bangladeshi territory, the government has recently reconsidered a relocation plan originally set up in 2015 that would move the refugees to a remote island known as Thengar Char. This proposal has been strongly rejected by rights groups due to the island’s ‘inhabitable’ conditions.